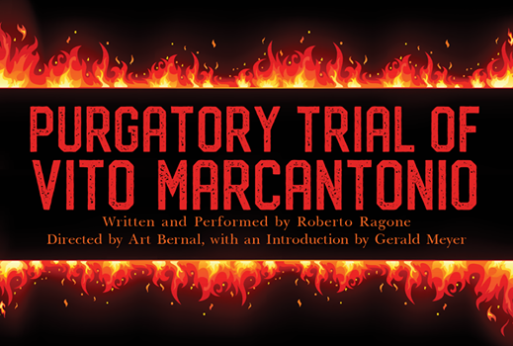 On a recent Sunday afternoon in New York City, an audience of more than 50 people was treated to a unique one-man show, “The Purgatory Trial of Vito Marcantonio,” written and performed by Roberto Ragone and directed by Art Bernal with introductory remarks by Professor Gerald Meyer. 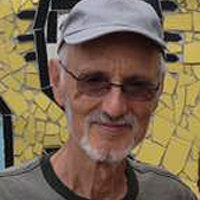 Professor Meyer is the author of the definitive biography of the progressive congressman and the director, along with Ragone, of the Vito Marcantonio Forum. The play opens on August 9, 1954, the day of Marcantonio’s death. Though a Catholic, Marcantonio was denied a Catholic burial by New York’s extreme right-wing Cardinal Spellman, and thus the action of the play centers around an imagined plea by Marcantonio to be released from purgatory—the repository of souls that did not receive such—and be allowed to ascend into heaven. 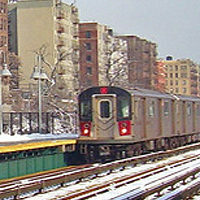 By way of a defense, Ragone, as Marcantonio, presents excerpts from speeches in Congress and dramatized re-enactments of incidents in his carrier to illustrate his record of selfless service to his constituents and his loyalty to his East Harlem community. Re-enacted are such things as Marcantonio’s impassioned speeches made on the floor of Congress—his pleas for the establishment of a “second front” in Europe during WWII to assist the beleaguered Soviet Union against Nazi Germany, his defense of jailed Puerto Rican nationalist Pedro Albizu Campos, and his lonely stance in opposition to the Korean War. In doing this, the play clearly illustrates how, in serving his constituency, Marcantonio never compromised his progressive principals—always serving as a champion of equality, a fighter against injustice and a defender of the common folk. Also documented is the relentless hostility of the powers that be who continually plotted and schemed against him, several times changing the boundaries of his district until it extended as far south as Sutton Place, and even changing the election laws to his detriment. Initially these attempts at sabotage were in vain, he was re-elected some 7 times! Contributing greatly to Marcantonio’s electoral success was the fact that during his time in Congress he had an unparalleled record of direct service to his constituents. In his introductory remarks, Professor Meyer read extracts from letters sent to Marcantonio from people in his district thanking him or asking for help. With that kind of grassroots support, he proved hard to beat, and the only way his opponents could succeed was through the immense effort of getting all the other political parties to unite against him. 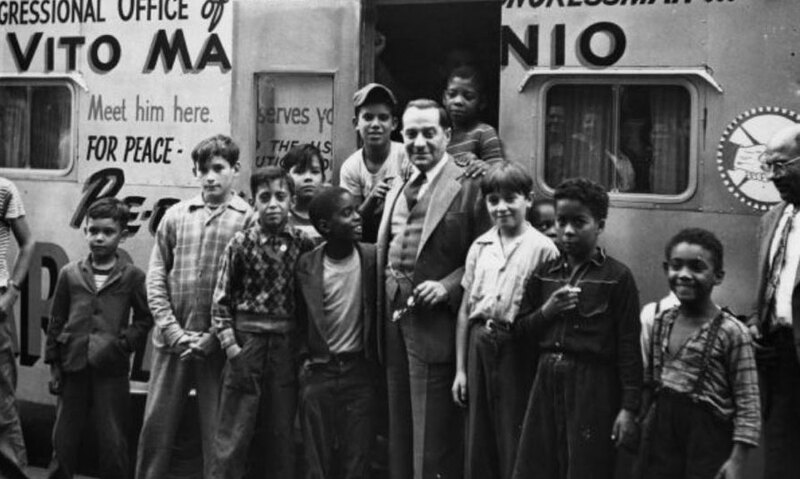 There are many memorable highlights, including the eulogy given at Marcantonio’s wake by the great Paul Robeson; the back and forth with a friend of questionable reputation, Tommy Lucchese, showing his friend respect while rejecting his offer to have personal bodyguards walk the neighborhood with him; a news report from a Marcantonio campaign rally at 116th and Lexington (Lucky Corner); and his successful defense of black leader and Communist W.E.B. DuBois who aptly said the main hurdle of the 21st century would be overcoming racism. Although this New York performance was a limited engagement, Ragone and Bernal have already been approached about possible performances in other cities and it may, in part, be made available for viewing on YouTube soon, so many others may get a chance to see this play in the future. Today Marcantonio, perhaps the most progressive representative to ever hold a congressional seat, has largely been written out of history. This play by Ragone and Bernal is a step toward rectifying that.